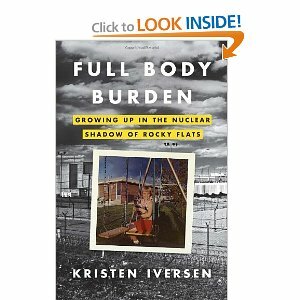 Kristen Iversen grew up in the Bridlewood area of Colorado just a short distance from Rocky Flats, a nuclear plant where the government set up a facility for and supported the creation of plutonium pellets since the 1950's. These "pellets", as they are euphemistically called, are the key to sparking the blast that causes detonation in nuclear bombs. More importantly, these pellets are extremely radioactive and toxic to living things, as is the waste that is created during the process. In Full Body Burden: Growing Up in the Nuclear Shadow of Rocky Flats Iverson shares the story of her childhood growing up in the shadows of this oft neglected, poorly monitored plant (designated "the most contaminated site in America") which alledgedly polluted the environment surrounding the plant (I say alledgedly only because no court has had success with holding the government, or the companies it hired to manage the site, accountable), including poisoning ground water and making the land inhabitable to humans. Though, apparently, the Feds seem to think its perfectly acceptable to allow animals to live there, recently marking the land a "reservation". While Iverson recalls her childhood with rose-colored glasses (riding horses, playing on the prairie land), she also tells of countless neighbors who moved away or died due to various cancers, illness that she and her siblings themselves continue to struggle with, and the overall damage done to the land she loved and called home for so many years. She also speaks frankly about her father's growing alcoholism, a full body burden itself, and how it affected she and her siblings as they matured and became adults, as well as her mother who refused to give up the fantasy of the perfect 1950's family, in the perfect house, on the perfect land. A strongly written memoir, mixed with intense investigative exposé, this book addresses the damage secrets can cause a community, and a family, head on. This is a wonderful read of which everyone should be aware. I don't actually speak Spanish, so maybe in its native tongue this isn't quite so impressive. The translation certainly isn't earth moving. But, I just love this song and it reads so nicely! Translation is in parenthesis. What the hell am i doing loving you. Some children are born lucky, with families who love them, stable homes, and abounding opportunities in life. Others are not as lucky. 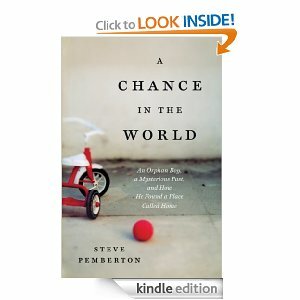 Steve (Klakowicz) Pemberton was one of the unlucky, born without A Chance in the World. Born to an alcoholic, careless white mother and a fly-by-the-night, boxer-turned-heroin-addict black boyfriend, Pemberton was taken into foster care at the young age of three, when his parents were deemed unable to care for him. Klakowicz found himself forced onto a horrible foster family who used him like a servant, abusing him physically and emotionally, barely feeding him, and openly dissuading him from reading. With only a box of books from a stranger and the dream that his real parents would eventually come for him, Klakowicz survived for over a decade. Eventually, faced with the hope of college (his only savior, in his eyes) and his foster family's refusal to assist him, Klakowicz realized he needed take control. After years of getting little help from family services, he finally got lucky and found the help he needed to manage his release. With the assistance of those friends, he attended college and, despite struggles, succeeded. As an adult, Klakowicz decided that if his family wasn't coming for him...he would find them. But reality is never as good as fantasy. When he finally found his family, he discovered they were not what he had hoped. Not only had both of his parents died as a result of their own demons, his last name was not even his own. It had been forced on him to hide his birth father's identity. His brothers and sisters were separated and fractured, emotionally hurting themselves, due to their own horrors in life. Only through persistence and true love, was he able to bridge years of pain to build relations with them. Ultimately, through the birth of his own family, Pemberton (who changed his name to match that of his birth father) discovers that sometimes home doesn't come to you, you have to make it for yourself. 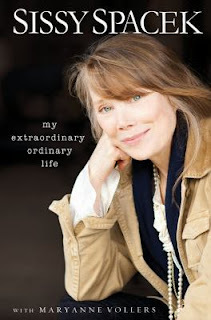 A wonderful, moving read, with a touch of mystery and a whole lot of positivity. Definitely worth sharing with friends. 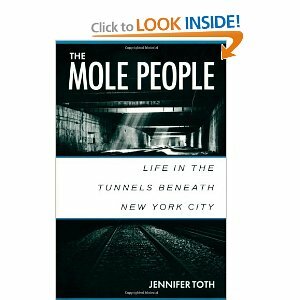 Jennifer Toth was just twenty-four when she researched and wrote The Mole People, Life in the Tunnels Beneath New York City, just old enough to be a little bit naive and careless. A study of the thousands of people who were (are?) living in the railway, subway and sewage tunnels of New York, this book was supposedly written "to dismiss the myth of animal-like underground dwellers." Well, she didn't really do that. But she wrote a fairly good book about the homeless living in New York. While many books have been written about the homeless, Toth's is a bit different. Toth delves deep, literally, to find, befriend, and understand a group of people who many do not...many who, in fact, do not even know exist. Toth shares these people's stories, their histories, highlighting their humanity and need for community, caring, and being accepted and important to others. In addition, Toth researches and shares some basic history of how this group of people came to exist and why. This book is quite an eye opener. I found it very interesting. While we hold each other oh so tight. That's the colour of my love. To draw you close and make you mine. Devoted love until we die. The Tarte family home is fast becoming a zoo. Their Michigan home includes parrots, ducks, geese, parakeets, a rabbit, doves, and hens. 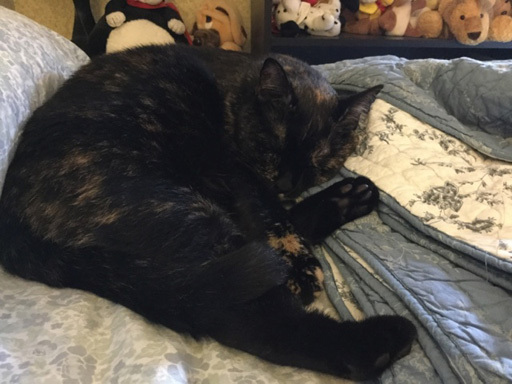 With all this fowl it seems an interesting choice to also own cats, but the Tarte family clowder is growing fast! 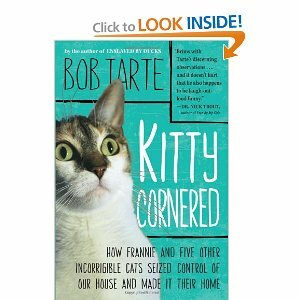 In his humorous memoir, Kitty Cornered: How Frannie and Five Other Incorrigible Cats Seized Control of Our House and Made It Their Home, Bob Tarte shares how his home has evolved from a one (lazy) cat home to its current group of six, including a stray and several cats who have been passed on due to behavioral issues. 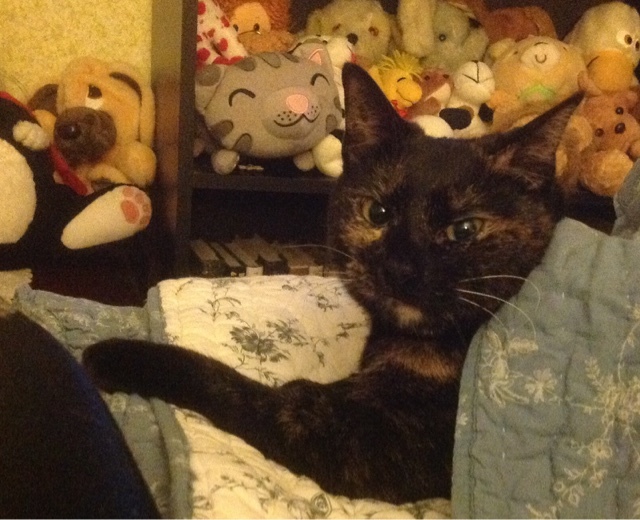 But Tarte always maintains his fantasy that the next incoming kitty is the one who will be a gentle, snuggling buddy. 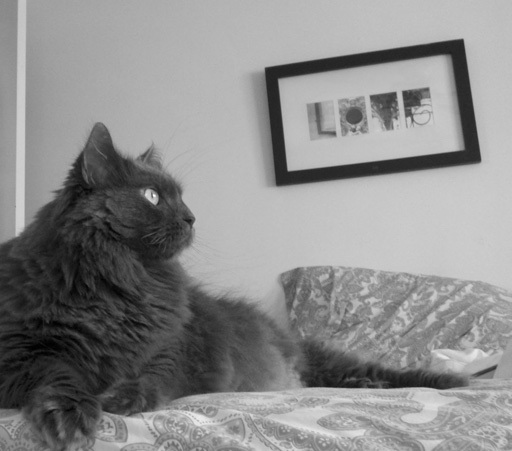 With Tarte's humor and wit, he shares how his group of cats, their needs, and their personalities have taken over his home and his family, ultimately discovering that his cats offer lessons in achieving happiness. 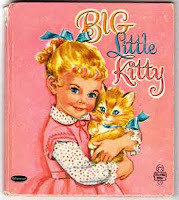 This was a cute book, but it was a bit hard to follow at times. I can not say for sure if that was a result of my attention span or his writing, but at times I wasn't sure what Tarte was getting at...until I realized that he was making a joke. I guess if you like his style, you love this book too. If not, there are many other cat memoirs out there. 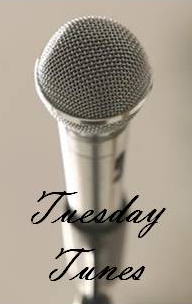 Top Ten Tuesday is a list feature that was created by The Broke and the Bookish. 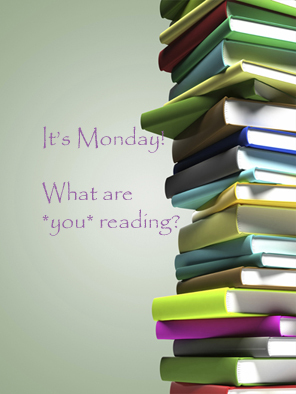 Each week they give you a different question or topic where you can answer by listing your top ten choices. 1. Big Little Kitty - The first book I remember... I cried when the kitty left home and was all alone in the world, but was so very happy to see him return home to his mommy. It still makes me tear up, to this day. 2. 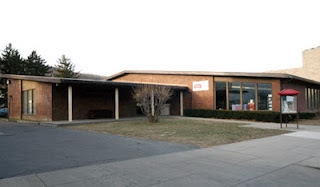 Library trips during school - There was nothing better than skipping math or social studies to visit the school library and have books read to you. And to get to take them home for free...heaven! 3. My first "real" library trip - Goodness, I loved this building so!! With a single, working mother and an older sister who had no time for me, I visited here so often... I wanted to just move into a back room and stay forever. Interestingly, every time I see a specific house in my town, I state how much I love it...and it looks a whole lot like this building! 4. Tommyknockers - Unlike any other book I had ever read, this book scared the crappity out of me! I had to put it down several times to get through it. What fun! 5. Wifey - Who knew my beloved Judy Blume did more than children's books?! What a learning experience, wink, wink, you naughty girl! 6. Rebecca - I don't remember what it was...I just remember being floored by it. I loved that book. 7. To Kill a Mockingbird - Proof that not all classics and assigned reading had to be slumber inducing - a life changing book. 8. Harry Potter - So unlike me...young adult, series, magic and weird boring stuff like that, but what fun it was! 9. My first blog award - Enjoyed less for the acclaim and more so because it indicated someone was actually reading. Thank you! "You love me, you really do!" The first year they had me puttin' wheels on Cadillacs. January has been a busy, crazy month - lots of Purely Vocals duties (Ireland, a 5-night show this week, and lots of rehearsals to prepare) and my first wedding anniversary. As much fun as I've had, I'm kinda glad it's over! Despite my busy schedule, I actually did alright with reading this month. December was weirdly slow, but January seems to have gotten me back on pace (I'll never be one of those folks who reads like 10-15 books in a month, if I read 1-2 a week I'm doing good). I finished four books this month and have started an "old-y' that I never got around to reading. 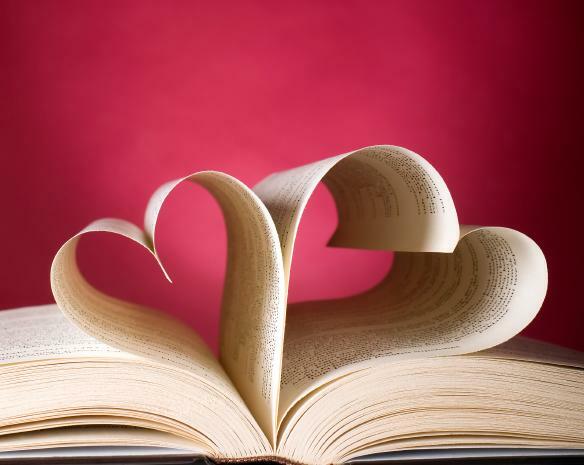 February is looking to have less commitments "outside the book", so hopefully there will be more reading time. 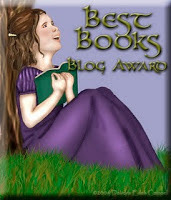 But, I have signed up for the A to Z April Challenge and that is going to take some preparation time. I better start now or April will be a killer!